to recognize Latinx/Hispanic student leaders who are advancing opportunities for their local communities. We’re excited to share the work of the students below and hope you’ll be inspired by their stories. After receiving so may great submissions, we've decided to make this a three-part blog post. ICYMI, be sure to check out Part 1 and Part 3. 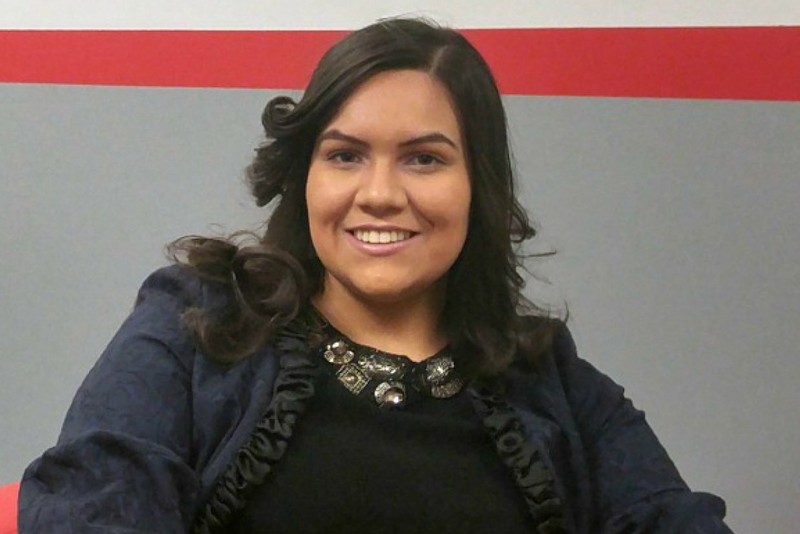 Claudia is a student at Rutgers University-Newark studying Public Affairs and Administration. She was born in Chile and her family immigrated to the United States. She is the youngest of six and is the first in her family to go to college. As someone coming from poverty, an immigrant, and a first generation high school graduate, she received no guidance when it came to the college process. She did not want anyone to go through the same experience. When Claudia was 17 years old, she founded college access workshops to help low-income and first-generation students through the college process. As a result, every student participant graduated from high school and attended college with scholarships. In an effort to scale her workshops, when she was a freshman in college, she founded FlairNow - an online mentoring website where she mentored over 100 low-income and first-generation students through the college admission process. Her platform is currently working with Newark Public Schools, and her first partnering school is West Side High School. FlairNow helps Westside high school students navigate the process from the time they are in 9th grade and beginning the college exploration process to the time they graduate. Claudia's goal, "is for every student, no matter their background, to graduate from high school and enroll in a college or trade school." Alejandro was previously a student at the University of Puerto Rico and is currently a senior at the University of Central Florida studying Health Services Administration. Starting with the "Master Plan for Bicycles" at the University of Puerto Rico at Mayaguez, Alejandro helped develop cycling infrastructure from scratch and paint the first bicycle lane in the history of the University of Puerto Rico. From this organization stemmed BiciCoop – the first bicycle shop established in the University of Puerto Rico. With this start-up, Alejandro and his co-founders created part-time jobs for students and promoted the culture of entrepreneurship on campus. After Hurricane Maria, Alejandro, and hundreds of Puerto Rican students, left the island in search of better opportunities to continue their studies. The University of Central Florida granted them in-state-tuition for one semester. Alejandro quickly got involved with the Puerto Rican Student Association and helped put together a proposal to extend the in-state-tuition waiver for a whole year. As a result, the board of trustees extended the tuition waiver to Spring 2023. “With time I have realized that the most valuable assets I obtain from any project are the relationships cultivated. The people that you work with become your friends and your supporters, as you become theirs." Arnold Moctezuma is a first-generation Mexican raised in New York City. He currently studies Computer Science and Information Security at John Jay College. “Growing up in NYC as a first-generation Mexican, I didn't always understand who I was and where I belonged.” With the help of the America Needs You Scholarship Program Arnold was able to improve his interview and public speaking skills while getting to know other first-generation fellows, which further motivated him. “I see it as a responsibility to myself and others to continue building the change that I want to see in this world by encouraging others to find for themselves the opportunities that will help them grow.” Reflecting on his accomplishments, Arnold was inspired to start a blog to further document and share information and resources specific to the Hispanic and Latinx communities. Marcelo is a senior at Middlebury College studying International and Global Studies with a focus on Latin America. Marcelo also has a minor in American Studies, with a Critical Race Theory focus. He was born and raised in Richmond, California, and when he is not busy studying, he is dancing in one of his college's dance crews – Evolution. Marcelo established the first Queer and Trans People of Color (QTPOC) affinity group at Middlebury College during his sophomore year. He founded the group after hearing many of his friends express that they felt there were no LGBTQ+ groups/spaces on campus with the majority of members who could relate to their ethnic/cultural backgrounds. Lesly is a student at theUniversity of Colorado Boulder in the engineering and applied mathematics department. She is from Houston, Texas and in addition to engineering, she loves to sing and draw. After coming back from a 2018 Python conference (PyCon), Lesly and another friend revived the Houston PyLadies MeetUp group that had been inactive for over two years. This time, however, they wanted it to be more than just a meet up. Lesly wanted to create an avenue for educational opportunities for young girls and women in general to get into STEM. Ryan and Dani DaCosta are a brother-sister duo behind "AYUDA! Tutoring" at their high school. Ryan is now a freshman in the College of Engineering at the University of Michigan while Dani is a sophomore at Suffern High School in their hometown of Suffern, New York. As a junior in high school, Ryan created the program, AYUDA! Tutoring – a free tutoring service targeting the large population of Latinx/Hispanic immigrants in Suffern. 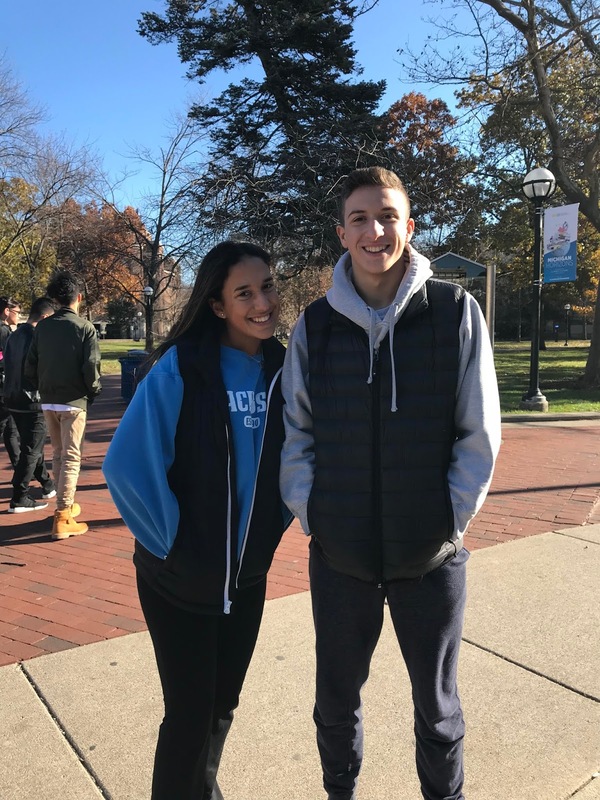 Ryan explains, “Many students move to the United States and struggle to adjust to classes taught mostly in English and they have limited resources to seek out extra help.” Dani currently serves as a facilitator of AYUDA! Tutoring and is responsible for coordinating and recruiting new tutors. She ensures all involved students have someone to assist them with homework, test prep, language practice, or anything else they may want. The group of tutors offer academic support as well as communication skills to English Language Learner classmates. In college, Ryan has become involved with the Society of Hispanic Professional Engineers and the Michigan Community Scholars Program – a living-learning community dedicated to social justice and community service. Dani is still managing AYUDA! Tutoring while balancing schoolwork and playing field hockey, basketball and lacrosse throughout the school year. Luis Gasca is a sophomore at Rutgers University – New Brunswick studying Environmental Business and Economics. Luis was born in the small city of Popayan, Colombia and grew up in Trenton, New Jersey. Throughout high school Luis was involved in Mill Hill P.E.E.R.S – a non-profit youth development program that focused on encouraging responsible strategies throughout Trenton by presenting skits to the community on bullying, dating violence, drug awareness, and much more. 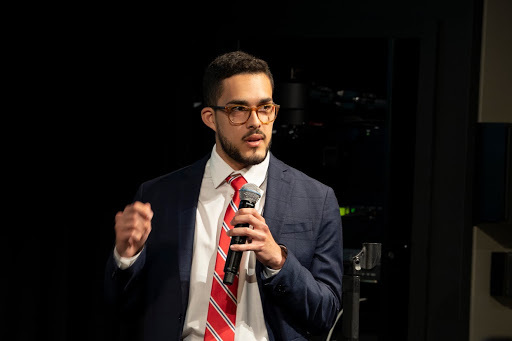 Once in college, Luis was elected to serve as President for C.O.S.I.N.E – an organization that advocates academic excellence amongst underrepresented students and engages in community service. C.O.S.I.N.E creates a safe space where individuals can seek resources, connections, and find networking opportunities. Keep up with us on social (Twitter, Instagram, Facebook, G+, YouTube) to hear more about our initiatives! In honor of Hispanic Heritage Month (Sept 15 - Oct 15), Google hosted a Pay It Forward Challenge to recognize Latinx/Hispanic student leaders who are advancing opportunities for their local communities. We’re excited to share the work of the students below and hope you’ll be inspired by their stories. How to start coding (without paying much) today! Oakland coach and lead curriculum developer, has rallied to assemble a list of opportunities and tools that you can pull from. While geared towards middle and high school students – we've found these resources to be effective for new learners of all ages who are interested in coding, the arts, or just making something with their hands. Here is a list of free (or in some cases, “free trial”) tools that you can use if you wish to learn programming on your own. They are organized into arbitrary “levels” in order to help you determine where you might want to start, based on experience. Try block-based coding, with either Code Studio or Scratch (both free). CS First has an entire collection of computer science enrichment materials. Made With Code includes coding challenges and DIY projects. Be sure not to miss the Wonder Woman one! Move away from block-based to actual code with Alice 2 (free), CodeCombat (free trial) and CodeHS (purchase required). Alice 3 (free) is an upgrade from Alice 2. You can also try your hand at MIT App Inventor (free) to start creating your own apps! Processing (free) is a software sketchbook, and great for creating cool art and graphics. Greenfoot (free) and BlueJ (free) are also great free coding platforms. What about going straight for a language that our own Google engineers use? Try a hand at Python. Check out these two online textbooks—Invent with Python and A Byte of Python. There are also other websites with huge collections of computer science courses worth checking out, including CodeHS, Coursera, Udacity, and Code Academy. These cover artificial intelligence, machine learning, and more. If you’re the type who is looking to get a bit more creative and experimental with your code this summer – here is a list of tools you can use to develop video games, graphics, 3D designs, music, and more. Most of these are free to use, while others have free trials. Check out the following list of tools for students interested in building computers, robots, gadgets, and so forth (not all are free, but all are helpful). If you want to start off with the basics, littleBits are kits filled with electronic building blocks to create cool projects and small networks of circuits. Use Arduinos or Raspberry Pis to build DIY computer programs. Or, go for a full Kano kit to build a full computer, which includes a Raspberry Pi, a wireless keyboard, and a speaker. Want to make a banana play a song when you peel it open? Check out MakeyMakeys – kits that allow you to connect typical, everyday objects to computer programs. Last, but not least, if you’re looking for project ideas to work on with your Kano kits, MakeyMakeys, or Arduino boards, Instructables is a website filled with DIY project suggestions and a community of students who love to create. We’ve got plenty more tidbits and recommendations for computer science education. Interested in learning more from the Code Next lab? Sign up for our free newsletter—and happy coding! 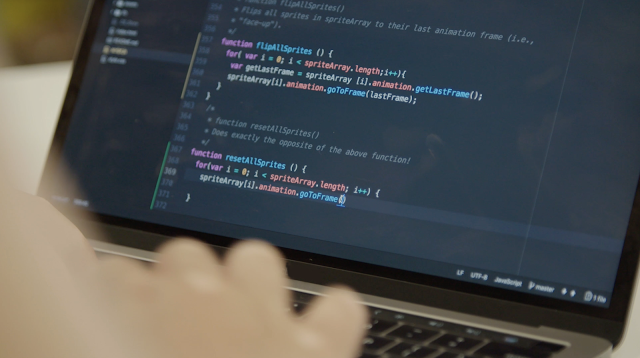 School's back in session, and you're curious how you can start coding in your free time? Never fear, because Aaron Hobson, Code Next Oakland coach and lead curriculum developer, has rallied to assemble a list of opportunities and tools that you can pull from. While geared towards middle and high school students – we've found these resources to be effective for new learners of all ages who are interested in coding, the arts, or just making something with their hands. Update: After receiving so may great submissions, we decided to make this a three-part blog post. Be sure to check out Part 2 and Part 3. Edgar Bustos is a junior at the University of Southern California triple majoring in Economics, Business Administration, and Political Science with a minor in Law and Public Policy. He was born in Dallas, Texas, is a first-generation American, and a self-described "son of a proud Mexican woman". 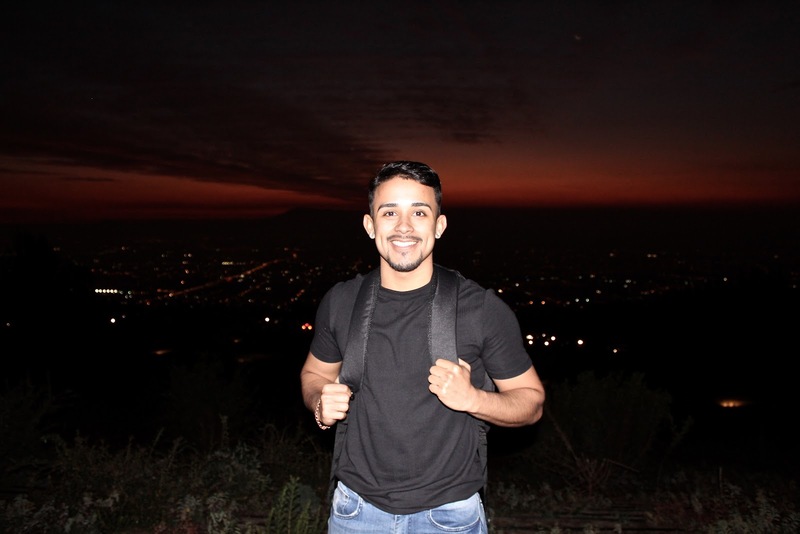 Edgar has devoted his undergraduate career to supporting the development of Latinx/Hispanic students as the President of QuestBridge at his university. QuestBridge matches high-achieving, low-income students to elite universities with full scholarships. Edgar explains, "QuestBridge made college possible for me. Now, I serve as President of QuestBridge at the University of Southern California, where I partner with a talented executive board to serve college students and the surrounding community. I have prioritized training events that help first-generation/low-income students to become competitive job seekers and graduate school applicants. I am also reaching out to public schools with majority-Latinx students to sponsor events where we can teach students about scholarship opportunities." In an effort to increase Latinx representation in executive roles, Edgar also created Latinxs in Human Resources. Edgar uses LHR to promote the development of underrepresented communities and provide information about career paths in Human Resources. "It is my hope that by targeting the development of Latinxs before, during, and after college, I can make lasting impacts in the Latinx community." In his "spare" time, Edgar acts as a student teacher with Mission Science. He actively supports STEM exposure for Latinx/Hispanic students by leading after-school science lessons. If you, or someone you know, is a high-achieving, low-income student – you can read more about QuestBridge here. If you are a representative from a university not currently partnering with QuestBridge, please consider advocating for a QuestBridge partnership at your University. Bianca is a student at The University of Texas at El Paso, the Vice President of UTEP's chapter of ACMW (Association for Computing Machinery Council on Women in Computing), a National Center for Women & Information Technology (NCWIT) AspireIT Program Leader, and "passionate about empowering Hispanic girls through technology and educational programs". The NCWIT AspireIT program is a computer science initiative for girls in grades K-12. 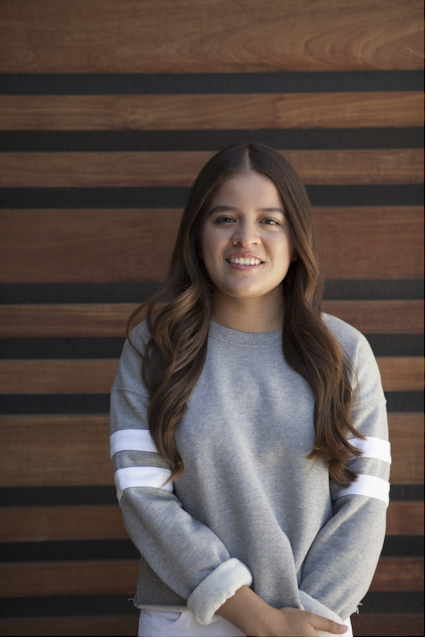 As a program leader, Bianca helped raise over $5,000 in 2018 to engage Hispanic girls through summer camps and programming clubs. This year, she partnered with Latinitas, a nonprofit organization focused on empowering young Latinas using media and technology. Together they hosted the summer camp "Latinitas Code Chica", aimed for girls in 4th-8th grade and will begin the "Code Chica After School Club" in late October. "As the AspireIT Leader, I was able to share my passion in tech and teach participants fundamentals in programming and computational thinking in a fun and creative environment. 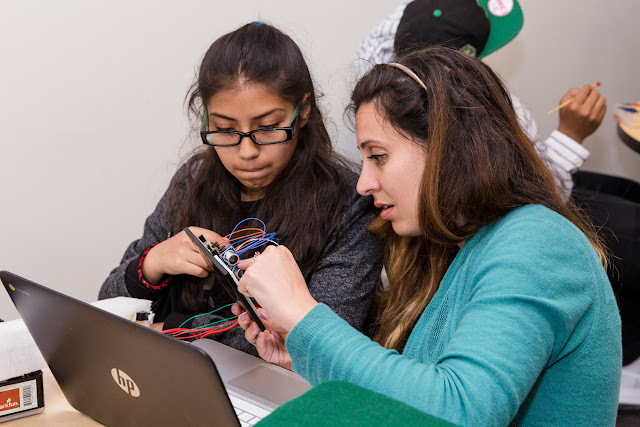 My vision for the future of women in the tech industry is to see Latina girls having the same opportunity to learn programming skills at a young age, regardless of their ethnicity or economic status." "The magic of the Hispanic Heritage Month is about learning from other Hispanics willing to contribute to our next generation in the technology industry. To be part of the present and future and recognize that we also have inspirational role models to follow and imitate their willingness and hard work to reach our goals. Being a Latina in a technology field means being part of a minority group, it can be both challenging and difficult to 'fit in'. I strongly think that everyone is capable of thriving in the tech world. To Latina girls that want to pursue a career in technology, I will tell them not to be afraid of stereotypes and go for it." 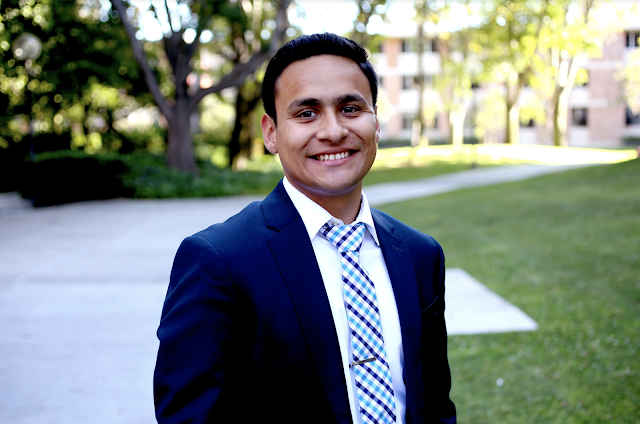 Guillermo is a junior at Stanford University studying Management Science and Engineering. He was born and raised in Chicago's West-Side neighborhood, La Villita. He is the middle child of a family of three boys and is the first one to attend college in his family. His parents are immigrants from Mexico. 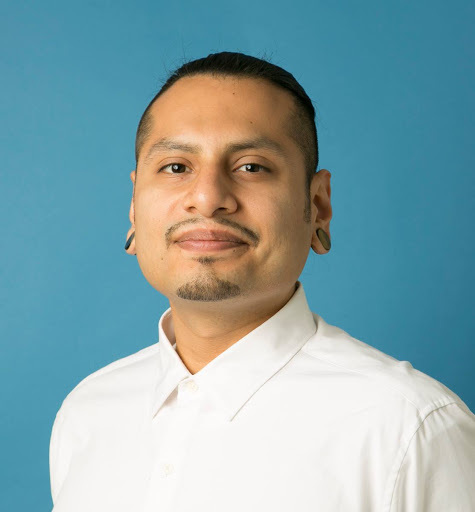 Guillermo launched an organization called Chicago Latinx Scholars that works to connect and give resources to Latinx high schoolers, college students, professionals, and nontraditional students in and from Chicago. The organization has taken initiative to set up workshops across the city to help youth and young professionals network and get assistance with scholarships and college applications. They have partnered with various nonprofits like Mind+Hand and Chicago Scholars to help setup workshops. The organization utilizes social media platforms to connect students and has around 4.3k members as of today. Guillermo also runs Barrio Assistance – a community service group at Stanford that brings in Latinx youth to be mentored and tutored by Stanford students. Guillermo has spent two hours every Saturday since tutoring his mentee since his freshman year. He also works at the Stanford Undergraduate Admissions Office as a Diversity Associate, is part of a nonprofit called Human Engineers that takes medical missions to the Philippines to help build prostheses for amputees, is a Jopwell ambassador where he connects students of color to professional careers, and this past spring quarter he led an alternative spring break trip to Chicago where he connected Stanford students to communities of color and immersed them in their activism efforts. "This platform can be helpful to me by bringing more publicity to Chicago Latinx Scholars and the movement that I have started in Chicago. I want people to see that youth like myself are proactively trying to solve some of the most pressing issues affecting Chicago. I want my organization and movement to serve as a model for what youth can be doing to fill in the gaps. In addition, I hope that the publicity connects me to people, organizations, and resources that can support me in this mission to provide resources to Latinx youth in and from Chicago. Chicago is currently facing many issues ranging from gun violence to lack of adequate educational institutions, I want to challenge the narrative and I want to show the world that youth in Chicago are part of the change and not the problem." Diana is a freshman at Bakersfield College studying Computer Science. She was born and raised in South Central Los Angeles, California. Her love for technology came to be when she participated in CS summer programs throughout high school such as Kode With Klossy, Girls Who Code, and Google CSSI. She is an advocate for Hispanics in STEM and is currently working on her ongoing project called Food Distribution, a mobile application to decrease food waste, poverty, and hunger. "The community where I was raised Hispanics had little to no role models to look up to . That shifted when I took a step forward to become a leader." Diana began by volunteering with Girls Who Code to teach young women how to code. She became an ambassador to recruit and get more females involved in technology and computer science. 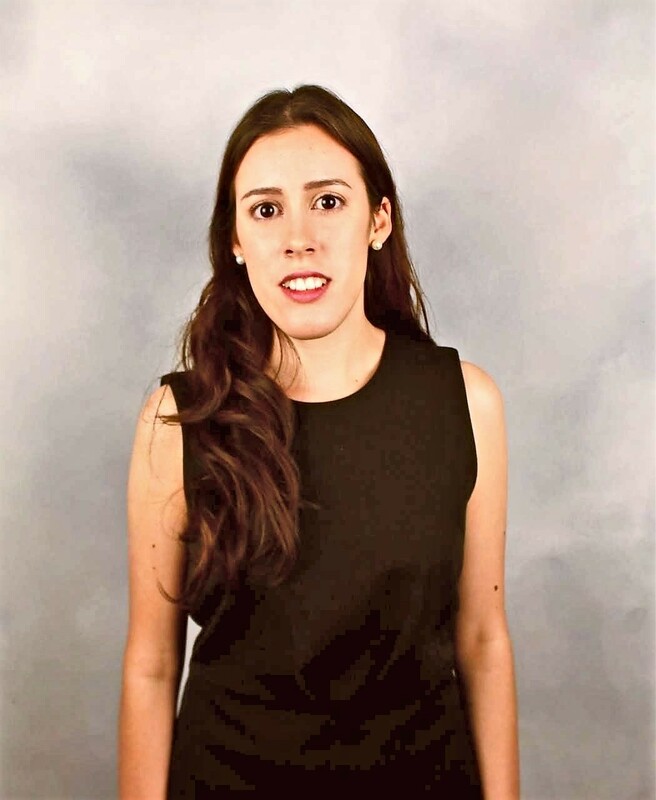 Additionally, she created a mobile application prototype called 'Food Distribution' for the Congressional App Challenge – she was one of the few Hispanics who participated and was awarded with recognition. This motivated her to build her tech startup called Nebala, a platform to build mobile applications and technology products. "Advice I would give to an individual would be to never doubt yourself. You may have to take a risk to get your initiative to function. Be someone who is willing to make a difference. Think positive. There is someone out there in the community that could use your resources. They are hoping to find you and get involved." 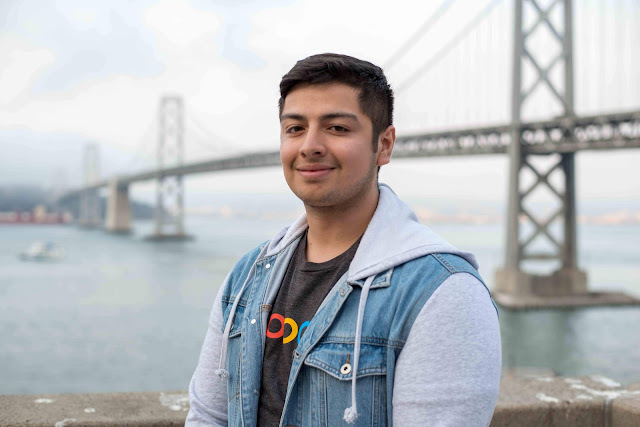 In honor of Hispanic Heritage Month (Sept 15 - Oct 15), Google is hosting a Pay It Forward Challenge to recognize Latinx/Hispanic student leaders who are advancing opportunities for their local communities. We’re excited to share the work of the students below and hope you’ll be inspired by their stories. The view from the 8th floor roof terrace – on a sunny day, you can see the Eiffel Tower! 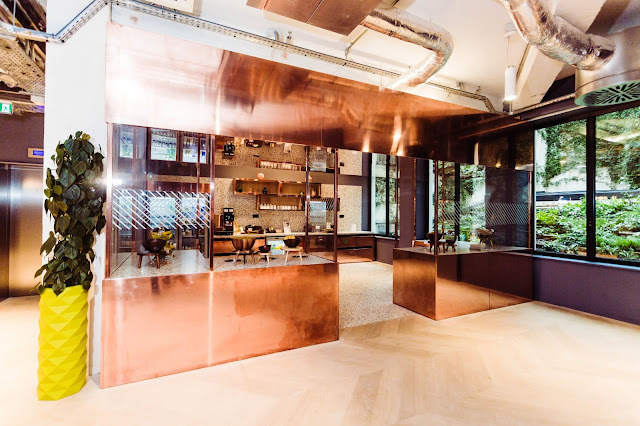 One of the things Paris is known for is great café (coffee). Art Selfie matches from around the world. Did you already find your classical painting lookalike? 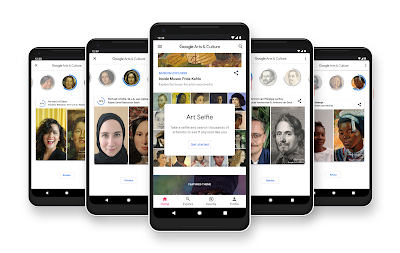 Last December, the Google Arts and Culture team launched “Art Selfie” – the feature, based on computer vision algorithms developed at Google, allows users to find their counterpart in the enormous corpus of world’s heritage of art, and in doing so took the Internet by storm. 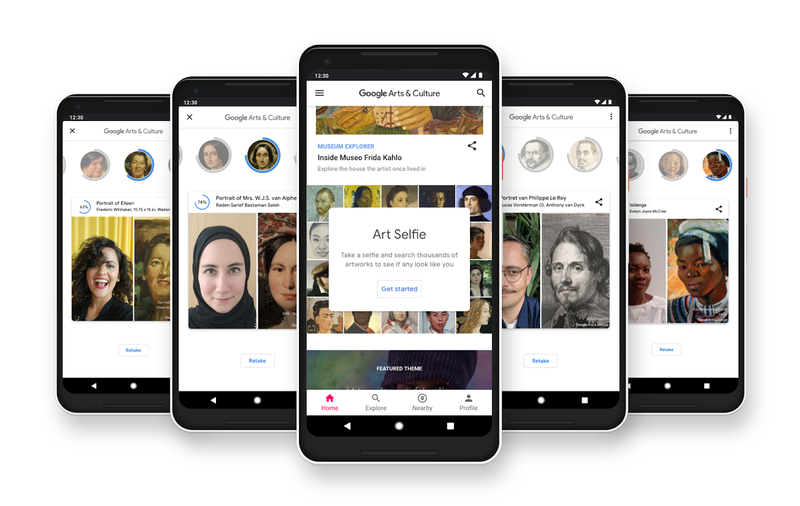 The popular app is developed in Paris and London by a team whose mission is to make the world’s art universally accessible. This is done by working in collaboration with museums and cultural organizations throughout the planet. Ever think about those suggested videos you see on YouTube? The YouTube team in Paris applies the power of machine learning to the incredible amount of videos on YouTube. Their work allows the service to automatically find some topics that each video is about and thanks to that, help users find videos they are interested in. 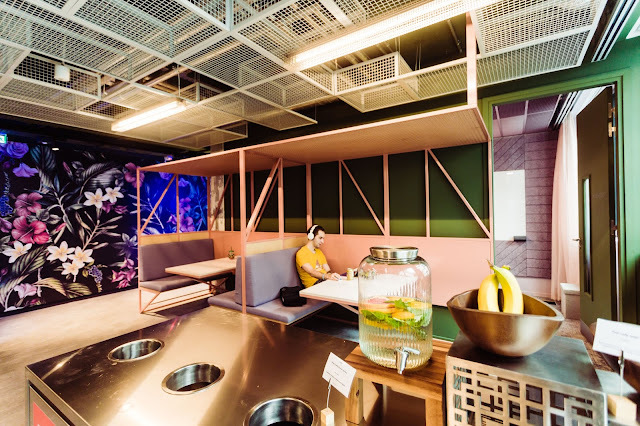 One of the new microkitchen (MK) workspaces. In today’s world, you need to be able to search fast no matter what type of device you are using. In Paris, there are teams working on Chrome for both Android and iOS. Their achievements include a redesigned user experience (UX) for Chrome on iOS (which launched earlier this month), and significant improvements in browsing speed for Chrome on Android. Bringing the outside, inside at the new Paris office. If you want to know who the true behind the scenes heroes are, meet our Operations Research team. They help hundreds of projects run more efficiently. From planning the routes of Street View cars to optimizing the layout of Google data centers, these folks do it all. Paris Googlers hard at work in the new office. While most Google engineers work on existing operating systems like Linux, one of the teams in Paris is an exception to that rule – working on a new open-source operating system called Fuchsia. Fuchsia engineers in Paris focus on how the system stores and synchronizes data. 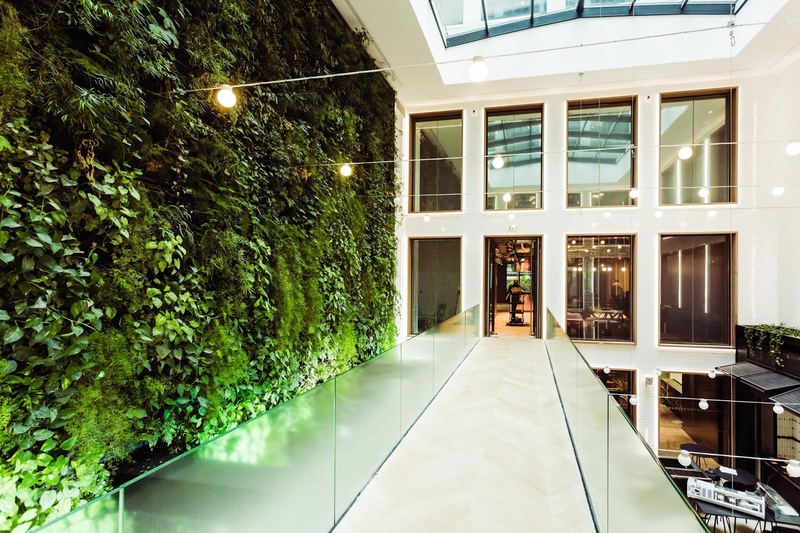 The building also hosts a new Google AI team. This team works on fundamental Machine Learning research and advanced applications of artificial intelligence to the problems of today. Besides their day jobs, engineers from across the office work on a variety of programs designed to collaborate and engage with the computer science community in Europe – from university outreach to promoting computer science education. 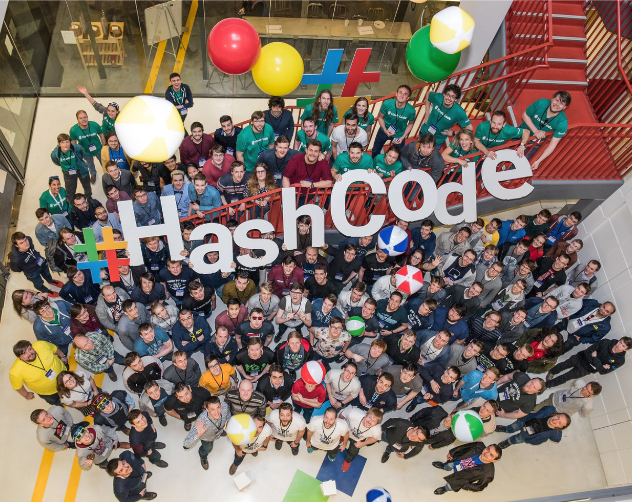 Hash Code (Google’s popular coding competition where participants solve real-life Google engineering problems) was created at Google Paris! From small beginnings in 2014 (150 participants from Parisian universities) the competition grew to over 38,000 developers last year across Europe, the Middle East, and Africa. Paris is also where Google Cardboard was invented. This virtual reality headset lowered the barrier to experiment with budding VR technology for developers across the world. 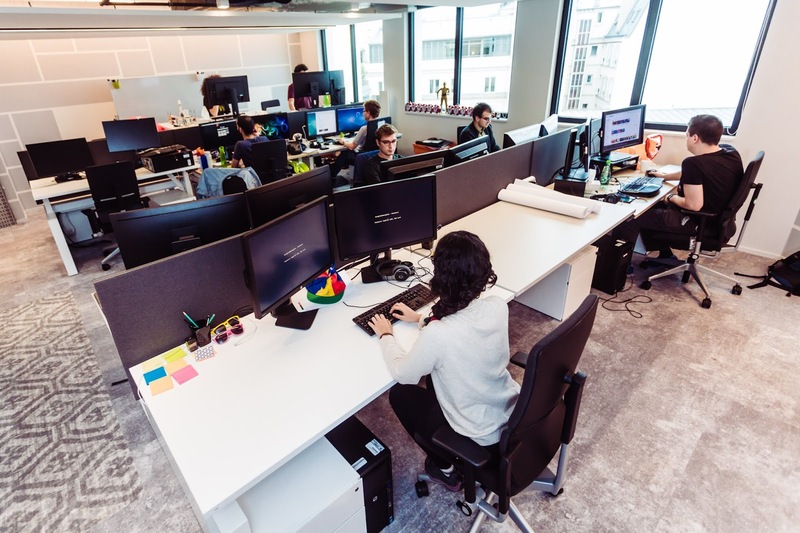 From speeding up mobile browsing to the digitization of art, it is an exciting time at the Google France engineering center. We’re wishing all of our Google Students readers a “bonne rentrée,” whether you’re heading back to university or are simply inspired to continue learning and growing. We hope you’ve enjoyed learning about the work we’re doing in Paris. If you’re excited about these projects, we hope that you’ll consider joining us when you start looking for your next internship or full-time job. In Paris, this time of year marks “la rentrée” – the national return to class for students all over France. The most direct translation in English is “back-to-school,” but whether you’re a student or not, “la rentrée” carries a spirit starting fresh and anew. 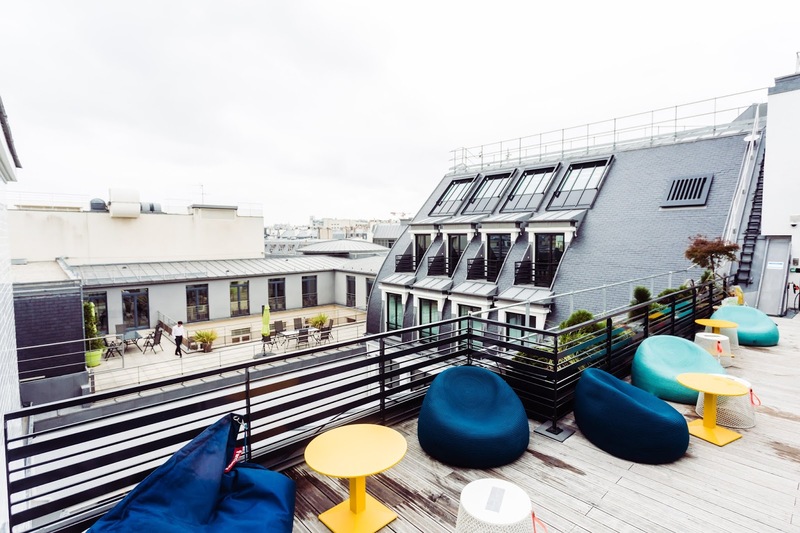 For Googlers in Paris, this “rentrée” marks the opening of a new building – hosting all existing engineering teams and a few new ones. The new building features a view of the Parisian skyline and eight floors of workspace for the 200 engineers (and growing!) who work there.